This is the 6th post in this blog about Living Faith, a model of congregational life that has been developed by the Board of Cooperative Ministries of the Moravian Church, South. If you’ve been sticking with me throughout this discussion, thank you. If you haven’t, you can find the previous posts here ((part 1, 2, 3, 4, and 5). Living Faith is a model of church life that can work in most congregations within most denominations. But one thing I haven’t mentioned yet is how closely tied this approach is to the life of Moravian communities in the 18th century–sort of a heyday in renewed Moravian history. For those wanting to get in touch with their Moravian roots, for those who like Moravian history and traditions, for those who believe that the Moravians of that era offer something to us today, Living Faith promises a re-connection with our forebears. When we think of our Moravian heritage, we often focus on external trappings that look Moravian but that will not necessarily connect us to the roots of our faith. When I mention my denomination to others, they will make reference to our cookies. Sigh! But even things like lovefeasts, Easter services, music–which are rich and valuable traditions–might easily obscure the depth of the faith of those who first invented these wonderful practices. Even these traditions–which are rich expressions of our faith–depend heavily on our own spiritual condition. It’s easy–and tempting–to go through the motions of these traditions without a deep, underlying, spiritual connection with our Savior. What we need is a way to discover and experience the deep faith of those earlier Moravians, and to practice some of the principles that made their faith strong. Living Faith embodies some of these principles that made the 18th century Moravian Church dynamic and transformative. Living Faith groups are different from the 18th century Moravian bands as they are described in Yaswinski’s article in some important ways. However, they offer the same source of spiritual vitality and fervor that our forbears found in the close fellowship of the bands. I like what Ruth Cole Burcaw wrote in her recent BCM blog posts (part 1 and part 2). She urged us to be bold in adapting to our changing world. That’s very Moravian in a historical sense. Moravians of the 18th century weren’t focused on tradition but rather on growth, vision, and ministry. They strained against conformity and the restraints of the day. I would typify our church then as a church of innovation, creativity, and vision. Those aren’t the first descriptive words that come to my mind as I reflect on how we do things today. We are more a traditional church — cautious, bound by precedent. I’m excited that there is interest and yearning for ideas to emerge that will help us move forward with greater vitality, both as a church and as Christians. Living Faith is intended to be a part of that picture. The wonderful thing about it is that it can help us move forward, but it can also connect us with an important part of our past. *August Gottlieb Spangenberg; Samuel Jackson, trans., The Life of Nicholas Lewis Count Zinzendorf, Bishop and Ordinary of the Church of the United (or Moravian) Brethren (London: Samuel Holdsworth, Amen-Corner, 1838), 86. Questions? Or want to learn more about Living Faith? Contact Tim Byerly at tlbyerly1971(AT)gmail.com. Our church world is changing. And while the message of Good News is unchanging, we now hear the news in different ways and we are challenged to meet children, youth, and adults where they are, which is not a simple task. In the 1970s, it was common for families to attend church together every Sunday morning. There were prizes for perfect attendance. Shopping and sports took a back seat to church. Not so in today’s world! Culture and times have changed and the old “we’ve always done it this way” programming in separate age groupings does not always work, particularly in smaller faith communities. How can we use technological advances to help us spread the Gospel more effectively? It is time to let go of our fears… fears of change, or trying something new, of failure, of backlash. Instead, let’s collaborate and innovate by using the tools and gifts God has put before us to proclaim the Good News to a new generation, a new world, a new church. Inter-generational resources allow us to be more inclusive of every age and person in the church, to communicate better, and to help families join with us in the task of faith formation. And while the responsibility requires all of us work together, there are still many ways we as church can help families take steps in faith formation. Find our inter-generational Sunday school resource at the top of our Additional Resources & Links webpage at MoravianBCM.org. Or just click the links here below! In May, several Moravian educators and pastors created a model for congregations willing to take a few risks, to think outside the box, to offer something new and exciting, and to build on some energy. We chose lectionary materials for four Sundays in August as an inter-generational experience where all ages come together, share in small groups of mixed ages, do some intentional Bible Study, and create something unique for the next Sunday. We purposely worked on the passages a week ahead so that this joint creativity could be shared in corporate worship. What became apparent as we began reading these scripture readings was the theme of images of God. The four weeks focus on a different image of God presented in the Scriptures. We created a series of PowerPoint presentations, which can be found on the our website under additional resources. Simply download the files, print or project them and you are ready to go! Mid-August, we’ll be adding a YouTube video that may be used in the last session, which focuses on the potter and the clay. 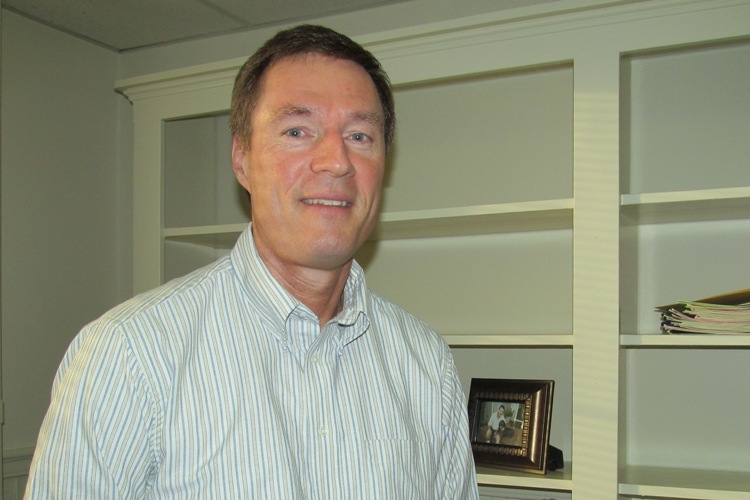 We’ll film Rodney Stillwell, Forsyth Prison Chaplain, as he tells the biblical story of the potter and clay at the Children’s Festival in Salem Square on August 14. We hope this will be the first of many resources that we can create for congregations when they are ready to try inter-generational Sunday School. Why is inter-generational ministry such an effective option for churches? The answer is very Moravian! Doing ministry with all ages is relational, allowing us to explore Christian relationships that form life-long disciples. A fun, celebratory setting creates an inviting space for these relationships to grow – and sometimes chaos, too! Yummy food, creative decorations, a welcoming atmosphere, and a genuine spirit of loving care all create memorable Family Time. Can you name 3-5 people in the age range of children, youth, and adults that have played significant parts in faith development? Yes, it was easier when much of our social lives revolved around activities at church. These relationships just happened. Now as we look at the way things have changed in churches, we realize that we have to be intentional in planning creative ways for all ages to form lasting, meaningful bonds with each other. I pray that you claim for your congregation its most important calling: growing followers of Christ through the intentional building up of relationships within the Body. May you find the power of the Holy Spirit during multi-generational meal times. And may you know that God is the source of it all, our help in ages past and our hope for the generations to come. Stop worrying about the way you’ve “always done it” and begin to think of new and engaging ways for all ages to intermingle and form significant relationships. You won’t be sorry. In the previous installments of this blog (part 1, 2, 3, 4,), I’ve written about our need for a greater focus on spiritual growth in our churches. I’ve discussed the key components of Living Faith that facilitate spiritual growth. One thing I haven’t discussed is the center of all of these discussions–not the ‘how to’ of spiritual growth, but the ‘what exactly is’ spiritual growth. It’s time for a good examination of spiritual growth to discover what we’re hoping to achieve. Spiritual growth or maturity isn’t eloquence in speaking about faith. This is true whether that speech is a sermon, a prayer, comments in a discussion, dynamic teaching, or encouragement offered to another person. Jesus talked about people who pray publicly, and his words were not very affirming. He might offer the same comments about prayers than impress us today. The person praying might be moving and ‘spot on,’ but that doesn’t mean the person is in touch with God. It simply means that the person does well talking about being in touch with God. Spiritual growth doesn’t equate with a high level of commitment. Sometimes it’s said of a person that he or she will do anything he or she is asked, or that the person gives generously. These are great practices, but they don’t reflect the spiritual condition of the person. The person might be head-over-heels in love with Christ, but a high level of commitment to doing good doesn’t prove this. There are a lot of other incentives for deep involvement in church activities such as guilt relief, recognition, influence, or approval. None of these will bring a person closer to God or instill Christ’s image in them. Talents don’t prove this either. A singer might be able to amaze a crowd. A youth leader might be able to draw young people like bees to honey. An officer on a church board might be able to motivate the congregation or manage the work of a board in impressive ways. But none of these abilities demonstrates spiritual maturity and growth. Spiritual gifts don’t guarantee spiritual growth. They receive a lot of attention in the New Testament, and they are emphasized in some denominations, much less so in the Moravian Church. Some see them as a litmus test of godliness, but nothing supports this conviction. Galatians 5 is a good place to start. Paul writes about the fruit of the spirit. That’s always intrigued me. I read the names of the fruit, but what does that look like in a person’s life? I have not grown tired of pondering this question about people, and about myself. Fruit, not fruits. There are nine names given to the spirit’s fruit in Galatians, but fruit is singular. It’s like they come as a set. If you have a basket on the table with an assortment of fruit in it, you don’t talk about how nice the fruits look. You talk about the fruit. The Galatians 5 passage is like a prism that refracts the light of spiritual fruit into 9 colors that enables us to understand it better. But it’s one fruit. It’s one image of Christ that is revealed in different ways depending on the situation. Can you imagine having love without gentleness, or patience without peace, or joy without self-control? Of course not, because it’s one fruit–the fruit of the spirit. We can’t focus on achieving one or the other like it was a New Year’s resolution. Instead, we focus on Christ, and the fruit of Christlikeness begins to develop in us. Philippians 4:4-9. Before you read further, read these verses. Go ahead, I’m serious. Just don’t forget to come back and finish reading this post. The word, fruit, isn’t included in these verses, but its imprint can be seen all over it. It talks about a frame of mind which allows for and fosters spiritual growth and maturity. By now you’d be right to wonder what this has to do with Living Faith which we’ve been developing. The goal or focus of Living Faith is this spiritual fruit/growth/maturity. This model of church life makes this kind of vibrant spiritual life possible. Spiritual life doesn’t happen because we decide to pray more or serve more. It happens when we help each other discover God’s work in our lives. That’s the point of Living Faith. Even the most dedicated introvert (like me) needs fellowship with others to grow toward Christ. No one does this alone. Even monks living in solitude depend on the sense of fellowship they have with those who live that same disciplined life. If you want to have a deeper spiritual life, work at it with others who are also focused on the same thing. Living Faith can guide you in that. Gradually, you’ll find the fruit developing in your life that Paul discusses out of his own experience. How indeed. I told you to stay tuned, then I hit the publish button and took a deep breath, because here’s the thing, folks: I have no idea. Okay, that’s not quite true. As someone who has spent my life helping others do what they do better, and who feels a deep sense of call to my beloved Moravian Church, I have plenty of ideas. And, if you know me at all, you know I am certainly not shy about sharing my opinions. But they are just that. Mine. It is not up to me to tell you how we go about being the church in the future. This is not an individual activity, and no one individual, regardless of his or her dedication, brilliance, charisma, or position, has all the answers. The river has moved, people. 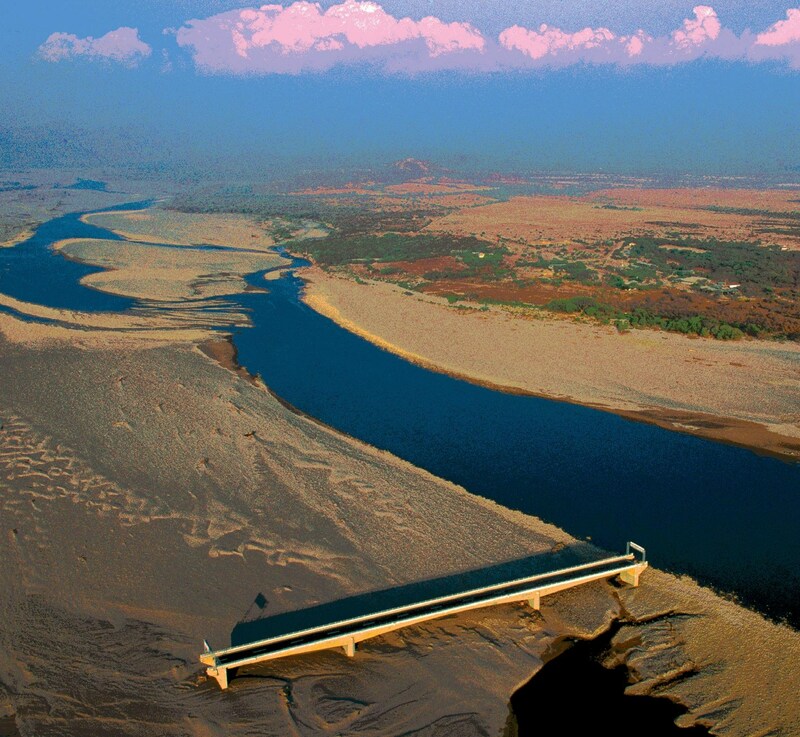 Consider the Choluteca Bridge in Honduras, built to withstand deadly hurricanes. When Hurricane Mitch came along in 1998, it dumped 75 inches of rain in less than four days and destroyed 150 bridges, but it could not destroy the Choluteca. But take a closer look at that photo. The bridge survived the storm, but the storm moved the river! Similarly, the institutional church is strong and has weathered many storms over the centuries, but the river has moved. While the temptation is great to try and redirect the massive river back under that bridge, the work set before us is to build a new bridge. Technical challenges are situations we’ve encountered numerous times and require quick fixes, problem solving, or consultation with experts. Examples of this include going to a mechanic when your car breaks down or visiting the dentist to fix a broken tooth. Adaptive challenges are situations that present new dilemmas and uncharted territory. Adaptive challenges require not the predefined answers of experts, but the hard work of discernment by those most affected by the problem. Examples include solving world hunger or reforming public education. There is no road map for the journey we are on. We’ll have to learn new ways of thinking and doing, use our imaginations, and discern solutions with each other, the ones most affected by these uncertain, complex times. what we face is a complex, adaptive challenge. 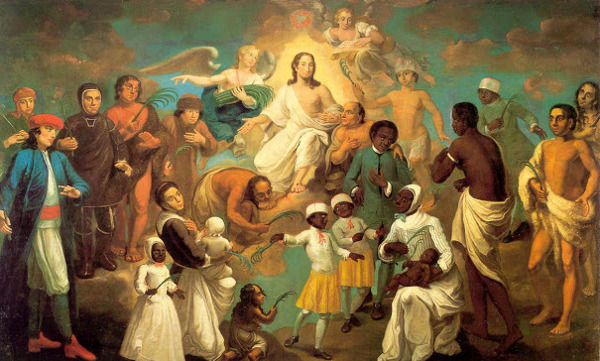 But our history as Moravians proves that we can rise to the occasion. While persecution, exile, and the sorry state of the human condition immobilized and frightened many of their day, our early Moravian brothers and sisters discovered opportunity and even beauty in those constraints. These bold followers of Jesus blazed forward, undeterred, as they expressed spirituality in community, welcomed women into ministry, embraced diversity, and sacrificed nearly everything for their mission. Over the years, though, we modern-day Moravians have grown slowly complacent in our comfortable sanctuaries. We are keepers of our great heritage, but what about the boldness? How do we take the constraints we face today, such as declining membership, shrinking resources, or competing values, and create opportunities to share faith, love, and hope with the world? Settling in and doing what we’ve always done will not solve the challenges we face. Now is the time to demonstrate creativity, openness, flexibility, and yes, boldness. Transformative leadership is required. Transformative leaders focus on motivation and formation, and they do it out of a deep sense of call. I’m not just talking about clergy. We all must be transformative as we encourage one another. Transformative leaders create environments that enable people to survive and thrive through change. When we nurture the giftedness and possibilities of people and invite them to be part of the solutions we seek, it is only then that our organizational culture begins to adjust and adapt. Interested in knowing more about what transformative leadership looks like? Consider being part of the next Moravian Leadership experience. We need you! We have to do this together. Paul, in his letter to the Colossians, tells us how we are to live as the community that is the church. We are to live with each other like Christ – being relational, forgiving, patient, loving, and gentle. And before we can do that, we have to know we are holy, chosen, and dearly beloved by God (3:12). Let’s continue to sit together at Christ’s table even as we face forces that would tear us apart. We have to know WHY we’re doing it. We get so overwhelmed by life and its accompanying challenges it is very easy to forget why we are here, in this place, together. Christ and Him crucified remain our confession of faith. What else can we do but respond to this gift of grace with our faith in God, our love for God and our neighbor, and our hope in this life and the next? Indeed. Let’s embrace these beautiful constraints we face as a Church today and, together, determine what God is calling us to be, then do it and be it. Amen. Heifetz, Ronald A., and Martin Linsky. Leadership on the Line: Staying Alive through the Dangers of Leading. Boston, MA: Harvard Business School, 2002. Print. McFayden, Kenneth J. Strategic Leadership for a Change: Facing Our Losses, Finding Our Future. Herndon, VA: Alban Institute, 2009. Print. Nelson, Gary V. Rev. Dr., and Peter M. Dickens. Leading in DisOrienting Times Navigating Church and Organizational Change. Ashland: Christian Board Of Pub Tcp, 2015. Print. Vogt, Peter. “How Moravian Are the Moravians? The Paradox of Moravian Identity.” The Hinge: International Theological Dialog for the Moravian Church. Volume 19, Issue 3 (Winter 2013-14): 3-20. Moravian Theological Seminary. Center for Moravian Studies. Web. 24 June 2016. https://issuu.com/moravianseminary/docs/hinge_19.3 . –Ruth Cole Burcaw is Executive Director of the Board of Cooperative Ministries. She and her family are members of Unity Moravian Church in Lewisville, NC. 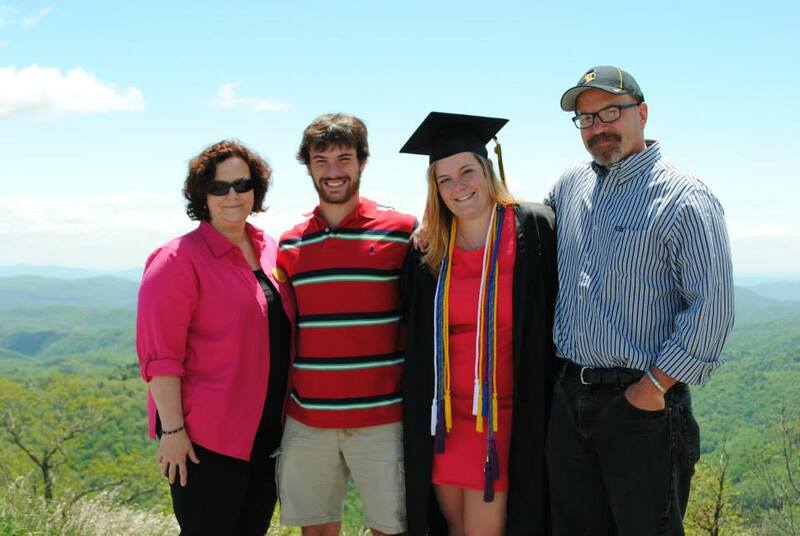 Below, Ruth and her family celebrate daughter Jessy’s graduation from Appalachian State University in May 2015. My thoughts today reflect on two anniversaries – the anniversary of the martyrdom of John Hus 601 years ago, and the anniversary of the independence of our country 240 years ago. These two anniversaries are not related to each other either in time, place, or in purpose, but they do hold something in common. Both result from a human commitment to truth. For John Hus, the spiritual forebear of our church, it was his commitment to revealed truth in the face of threat of death that led him to martyrdom on July 6, 1415. While the truth that Jefferson said was “self-evident” and the truth that Hus proclaimed was revealed truth which is understood by faith, these two understandings of truth nonetheless have something in common. Whether self-evident or revealed, the truth they were committed to was a larger and more sweeping truth than either envisioned at the time. When Jefferson wrote about his notion of self-evident truths, grand and inspiring as they were, they were limited by race and by gender. Only generations later would the self-evident nature of those truths be understood to include women as well as men, all races, indeed all people. In other words, Jefferson’s truth was greater than even his mind could envision at the time he wrote about them. So Jefferson wrote of self-evident truths far greater than he understood, and so did Hus, as he died for a revealed Truth who is none other than Jesus Christ who by his Holy Spirit is still teaching, still guiding and still revealing the fullness of his will for his followers. Today we celebrate Holy Communion as we call to mind again the martyrdom of John Hus so long ago. And, on this Independence Day weekend, we continue to recognize self-evident truths that are the fabric of our nation. Let us rejoice today and give thanks for our nation. Moreover, let us give eternal thanks for our Savior, Jesus Christ, who is the same yesterday, today and tomorrow, and who continues through his Holy Spirit to teach us, to comfort us, to reveal to us, and at last to guide us into all the truth. Amen.